Sometimes it's hard to admit what you want. At least that's the way it was for me. For years I treated writing like a dirty, little secret. The thing I did in private and never talked about. Some people knew, my closest friends, my husband, but I begged them not to tell anyone. And then a year ago I realized I was going to have to come out of the writing closet. Not only was I going to have to come out, I was going to have to sing the virtues of my writing far and wide. Post things on social media outlets, talk to book groups, own up to it in person when people asked me about it!!!! These thoughts terrified me. Literally, terrified me and caused me to lose sleep for weeks on end. Which is odd, in retrospect, because for years I'd been daydreaming about being interviewed on the Today Show, front page coverage in the New York Times arts section or glossy magazine articles all focused on my amazing book. What my daydreams didn't take into account were the steps between publishing the first book and glossy media coverage. I spent a lot of time before Losing Beauty came out thinking about exposure. The liklihood that my book would shoot immediately to the top of the NYT best seller list or receive unanimous adoring reviews was slim. But I also knew the chances were nonexistent if I didn't get behind my book, own up to my writing and let my fledgling attempt (which was not such a fledgling given the three "practice books" I wrote) out into the world. 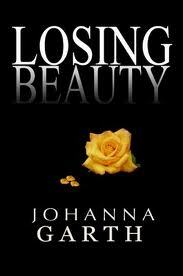 The realizations in the not-quite-a-year since Losing Beauty has been released have come fast and furious. I realized I'm deeply uncomfortable with anything that is less than unqualified, unanimous success. In other words, I care way too much about what other people think. I realized I don't like to show weakness, in any form. And I realized I'm a complete and total control freak (okay, I kinda always knew that last one but the publication of Losing Beauty has underlined it with a black Sharpie marker). Like I said last week, this month is about growth. I promised I wouldn't focus too much on my personal growth but all your comments and emails convinced me maybe my growth as a writer might be worth talking about. On Wednesday I'm going to look more closely at my post-publication realizations. I'll tell you how I've come to terms with my fears, what I've learned and how I've grown. Hope you can stop by. Hope even more that these posts will inspire growth in each of you. What we expect in terms of what will happen and how we'll feel about it change between pre and post publication - a lot! I dream big but set my actual expectations low. I look forward to your post on Wednesday. I'm excited to read more! I can completely understand your desire for unanimous praise, and the lack of control over things you love and let loose into the world (books, children) is terrifying to me, too. Thanks! It is so hard to talk about--I find that all my writer/blogger friends know more about this side of me than my neighbors I see every day! Alex, I think I should do a pre and post, post. Rick, I'm very similar to you that way. Brenda, don't get me started on letting my kids loose. That's even harder! Donna, thanks so much. Good to know it will be relatable. There must be SO many things that you think are going to be one way, and they just don't turn out that way when it comes to publication. I can't wait to hear about your journey. Isn't it amazing? I"ve watched the meteoric growth of Losing Beauty over the past year. It has been a pleasure to see your book take off. 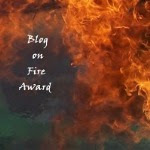 As a fellow writer, I can truly relate to the feeling of, "Holy Cow, I didn't expect THIS." I'll never forget the night that my book went live and I realized that people out there could buy my words and read them. I volunteered as personal assistant for an editor at the conference I am going to in May. I also plan to pitch my book at that time. I want to hyperventilate as I type this. The idea of putting my work out there and facing rejection is expected but completely terrifies me. I am definitely interested to read what you have to say about your experience. I'm looking forward to reading your posts this month. I've had short stories and nonfiction published, but my first novel comes out this summer. I'm more than a little antsy. I will be sure to read this string of posts. I understand your pre-publishing nerves. I empathize with living in the writer's closet, and the thoughts of shameless self-promotion nearly paralyze me with fear. Thanks for a very candid post, Johanna! What you're saying is so interesting - I can't believe you kept your writing activities to yourself for so long! But I love the way you write and I am going to look into your book. Johanna - don't hide that bright light of yours under a bushel basket! Get on out there and SHINE! Allie, thank you so much! Sabrina, hyperventilation is something I can relate to! Thanks Hart, your success and writing always inspire me. Nicki, absolutely. Writers are shy! Neurotic, I think everyone experiences those nervous pangs about sharing their work. Carole, that's so exciting! Congratulations. Teresa, can we just agree that shameless self promotion is sooo painful! I'm glad I know you, as a writer and a friend, and believe me, with your talent, you have nothing to hide!! How can I expect OTHERS to take my writing seriously, if I don't take MYSELF seriously? Yeah. After that, I started owning my writing. It was VERY intimidating at first... but then I got used to it! So what if SOME people think its just my "passing fancy"... my "closet" friends know better! Haha! It's difficult not to care what other people think. And of course it's perfectly fine if they're all thinking good things, but it's when people think bad things that we seem to care even more! The post you're planning about your post-publication realizations will be a good one, I think. I can understand what you mean, I'm still in the closet with a lot of people about my writing goals. Of course, if they looked at my blog they would know but it's not something I talk about as I don't want to be discouraged by nay-sayers. This was an inspiring read. I'm looking forward to learning more about your growth! Yes, tell us more. It's always fascinating to hear about the publishing process from the "after" point-of-view.